Any regular player knows you need a carry-all bag to store and tote your daubers, good luck charms and supplies. We not only have Bingo bags with the convenience and versatility you’re looking for, we have styles, patterns and designs you will love to show off. 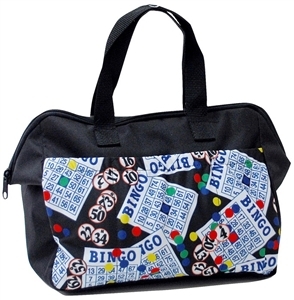 We have everything from traditional Bingo totes with front pockets to Bingo purse-bag combos! This selection of Bingo totes allows you to not only store all your supplies, but express your true passion for the game. 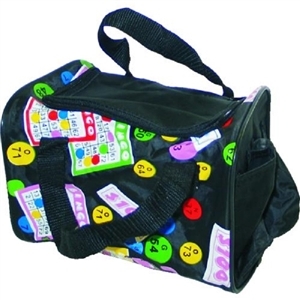 We think you’ll be pleased with our fun selection of carry-alls and bingo dauber bags. And even though you’re getting the coolest dauber bags available, you aren’t paying a high price for them. 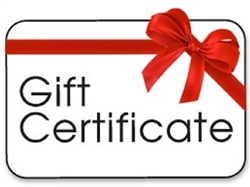 We love our customers, and genuinely want to get you the best deal on products you will cherish for years. We encourage you to browse our selection of Bingo bags for sale to find a pattern that you simply can’t live without!